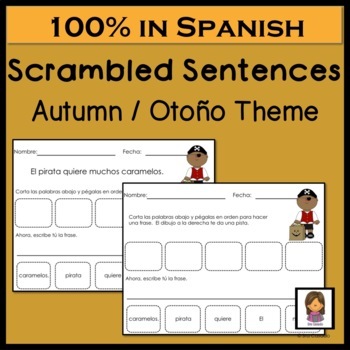 This is a fun activity, 100% in Spanish, geared at early elementary students. OK for Dual Language and Immersion classes. I am including 8 sentences about Autumn (Fall), each containing 5 or 6 words (see below for the list). 1. 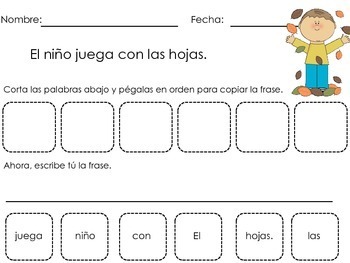 Cut out the words and paste them in the correct order copying the sentence. Then, write the sentence. 2. Cut out the words and paste them in the correct order using the picture as a clue. Then, write the sentence.